Corpus Christi is one of the main focus areas of USVA Realty in South Texas. 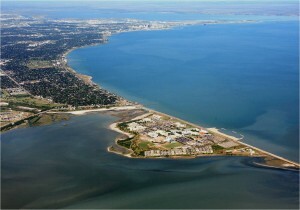 Home to Naval Air Station Corpus Christi and US Coast Guard Air Station Corpus Christi and also with a veteran population of over 26,000, Corpus Christi is served by 4 dedicated military Realtors. If you are ready to start the process of looking for a home in the Corpus area, press the “get started” button and send us your information and one of our VA specialists will call you and get you set up with one of our Corpus Christi VA Realtors who will walk you through the entire process from start to finish. 90% of our clients are first time home buyers, so we are very experienced at answering all your questions about buying a home. Your Texas VA home loan can be used to purchase an existing home in Corpus Christi, a new home or a VA approved Condo. Our Corpus Christi military Realtors have access to every listing in the Corpus Christi MLS. Our service area is all of Corpus and its nearby areas. USVA Realty provides service from Robstown to Rockport and Port Aransas to Aransas Pass. Get Started today with your Corpus Christi VA home purchase!